We say: Yes, holograms on ID cards are great eye candy and super secure. There are also great low cost card security solutions that work well when card security is required, but not at a premium expense. 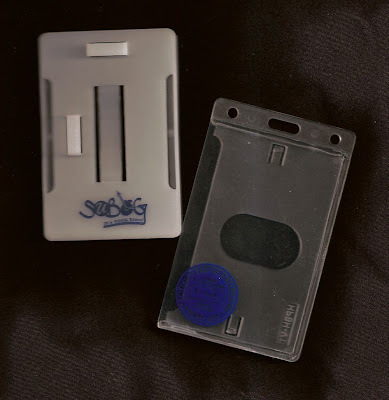 Just about every week we receive calls or e-mails asking if we print on rigid plastic badge holders. Sure. It is a drop kick for us. Turn-around is prompt and it costs less that you may expect. What can we do to assist your ID card program?